Would you visit a location just to see where a movie was filmed? If you could visit the locations where your favourite movie was filmed, and take a guided tour of the area, would you? That is exactly what’s happening in Mansfield, Ohio, where The Shawshank Redemption was filmed back in 1994. Tourists can go on a 13 stop tour of the filming locations including he building where Brooks, played by James Whitmore, hung himself, and the tree where Andy (Tim Robbins) hid money for his friend Red (Morgan Freeman) to find. 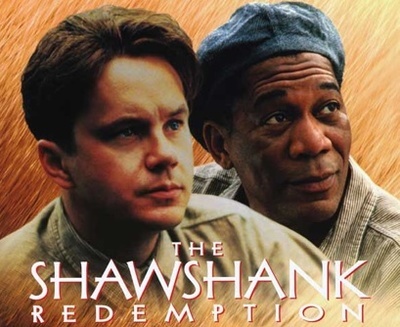 What do you think, would you take a tour of Shawshank? If no, is there another location you would want to visit because a movie was filmed there? Which movie? It depends on how far away the location was, and whether or not there were any recognisable features from the film there. I once took a tour of Leavesden Studio, where a majority of the Harry Potter series was filmed, and that was fantastic. Th was set rather than an actual real place though. I think this would destroy the majesty of a film for me. I would certainly visit a location where a movie was filmed but only if I wanted to see the location for what it was, not because it was used in a film. No, I doubt if I would go out of my way for this. Although I have been to LA and the movie studio, I do not think an organised tour to see where a film was made, would be of any interest to me. Even my favourite films, one of which would have to be Life of Brian -I cannot see the point of this as I think it could be very disappointing and different to how the film comes across. Who played the best Batman? Which Lord of The Rings Movie is your favourite so far? Will Idris Elba have trouble getting roles after bad-mouthing his Marvel role?